** I maybe going out on a limb to tag Squire as a “Legit UTR”. Yes, its his second season as a UTR-OAS (#2 as a reliever last season), but he excelled in his first stint in getting the ball every 5th day. He made 26 starts in 2017, matching that total over his last 4 seasons. With the state of the Marlins system, he could be a nice stash or mid-season free agent pickup when the Marlins look to the minor league for help. **Again, with the total rebuild occurring with the Marlins, Im placing Poteet as a “Solid Stash” instead of the “Legit UTR”. The Marlins made a whole host of moves to beef-up their pitching staffs, so Poteet could be blocked, but at only 22-years old at Double-A next season, time is on his side. Trade Impacts: The Marlins looked to Seattle for pitching help and reaped a bevy of UTR-OAS from the Mariners. They received three of the top 5 pitchers that would have ranked in the Mariners system.The Factor Scores of #1 Nick Niedert (23), #2 Pablo Lopez (16), #5 (2017 “One to Watch”) Brandon Miller (13.5), and Robert Dugger (13) would have unseated most the Marlin pitchers listed above. Look for them to be assigned to Double-A Jacksonville where they will join Squier and Poteet. The Marlins also scored a really good-looking right-hander from the NY Mets in Merandy Gonzalez. The 21-year old Gonzalez would have returned as UTR-OAS in 2017 (Ranked #2), after getting a mention after the 2015 season. Jordan Yamamoto (10), the #5 UTR-OAS for the 2017 Brewers, was the final piece that brought Christian Yelich to the Brewers and Lewis Brinson, Monte Harrison, and Isan Diaz sent to the Marlins. Why not look to the St. Louis to help build-up your minor league pitching staff. This included two out of the Top 5 UTR-OAS from the Cardinals in #3 Zac Gallen (15) and #4 Daniel Castano (11), who comes to Miami with the Cardinals’ 2016 #2 UTR-OAS Sandy Alcantara. Finally, The Marlins dipped into the Rule 5 draft to pull, now-former Houston Astro, Elieser Hernandez (11). The 6’0″ 201 lb right-hander has was in the Astro’s system since 2012, and was Houston’s #2 UTR-OAS after the 2016 season. The “Legit UTR” tag was forthcoming after this past season for the 22-year old, as would have been ranked at #5. 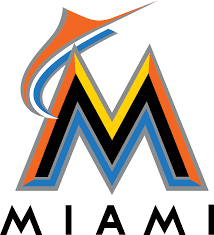 Trade Impacts: Another Mariners pitcher, but will bolster the Marlins bullpen is Lukas Schiraldi (21) , who would have been Seattle’s #1 UTR-OAS reliever.